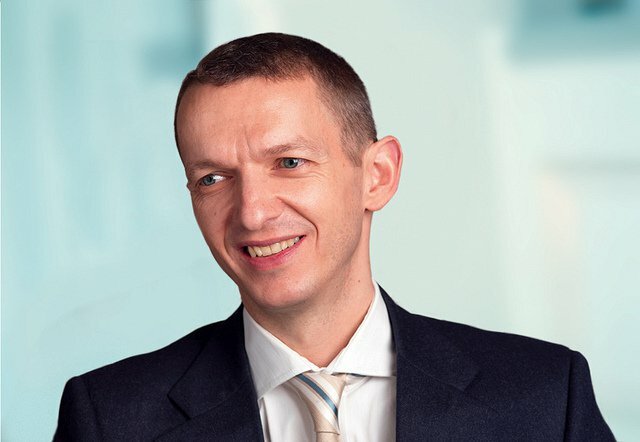 Andy Haldane, Executive Director of Financial Stability at the Bank of England, has been hailed as a new type of policy expert and intellectual. In this interview, for our Uneconomics series, he sets out his vision for the future of economics and economic policy-making. It is a future where central banks are humble, "listen as often as they speak", and own up to their mistakes. William Davies: In your speeches, you draw on economic history, on political economy, complexity theory and recent developments in economic methods. Could you say a little bit about how you came to have such a multi-disciplinary perspective? Is it a deliberate strategy on your part and what are you trying to achieve with that? Andy Haldane: Part of this has been born out of necessity, due to the crises we’ve been through. I don’t just mean the most recent one, although that may in the longer-term end up being the most significant. But actually we’ve seen events of this nature occurring on a ten-year or so cycle. Certainly, through my own time at the Bank of England, which is over 20 years now, the greatest leaps forward for me, and maybe for this institution, and maybe for the economics discipline, have been when these crises have happened. The latest one, obviously. I was also quite heavily involved in responding to the Asian/Russian/Latin American crises of the late nineties. And I was very heavily involved in re-drawing the framework for monetary policy after our inglorious exit from the Exchange Rate Mechanism in 1992. I think what typified all three of those crises was an acknowledgement that we need to rethink from a relatively blank sheet of paper, which means you can draw upon history and other disciplines. More than that, you need to. How else are you going to colour in your relatively blank sheet of paper, if you’re not going to draw upon the lessons of history or the lessons from other disciplines? Looking back at the way my thinking has been moving over the last few years, the stories I’ve been telling have been in the spirit of evolutionary economics. Questions such as – why is it that we found ourselves traversing along this or that path, for the economy or the financial system? Usually, if you can explain why it is we’re on that path, it gives you some reasonable insight as to what behaviours were driving it and how you might need to alter those behaviours to get on a different path. My proposed stories about the crisis were not that behaviours were driven by stupidity or wickedness, but rather that the rules of the system had been designed in ways that may have made sense individually, but the actions of those individuals and institutions were added up, it made for a system that did fairly crazy things. For example, the notion of ‘too big to fail’ is a form of evolutionary equilibrium founded in a set of self-reinforcing state interventions, each of which individually made sense. Because if a bank goes bust, it may make perfect sense for a government to ride to the rescue, which in turn gives rise to a set of incentives for those running the banks, which makes the next bank failure even bigger, which states then have to deal with. This creates a ‘too big to fail equilibrium’. And therefore to tackle that evolutionary problem you need to break the cycle. In the case of banks, you can fine them, you can regulate their behaviour, but unless and until this structure of incentives is altered, to change this fundamentally, you won’t reverse the cycle. WD: And did you discover this approach from your own reading? How on a professional level have you managed to combine being a public servant and an economist, while also developing this quite rich intellectual research agenda? AH: Economics needn’t be restrictive. Economics as a discipline grew out of a broader concern with political economy, with sociology, with philosophy. And that was true right through until the latter part of the 1960s and early part of the 70s. The towering economists of the twentieth century had a much richer idea of what economics was about than the recent neo-classical synthesis. They were all some hybrid of economist, sociologist, mathematician, political scientist and philosopher. Hayek, Keynes, even Friedman were very much cut from that cloth. Another feature which links those three individuals - for not unrelated reasons - would be that they have placed centre stage the sense that our socio-economic knowledge might be deeply imperfect. And that has been a theme that I’ve looked to pick up. It’s not a new theme. It has required me to go back and read or in some cases re-read what was written by them and others. The notion of not knowing, of imperfect information, of uncertainty (as distinct from risk) got lost from economics and finance for the better part of 20 or 30 years. In some ways, we’re just starting to rediscover that now, of how little we really knew, both pre and post-crisis, of how this complex adaptive economic and financial system really behaves. So I don’t think of this as being outside of where economics has been, other than over the past 20 or 30 years where it’s taken a rather narrower track, a rather narrower view of itself, than it did over the previous 200 years. WD: In view of this narrowing of economics, many have accused economists of failing to keep an eye on what’s been actually going on, or – at worst – of deliberately endorsing risky practices for their own gain. How much culpability does the economics profession carry? Does the economics profession not have some responsibility to keep the public safe from this sort of crisis? AH: Yes, it absolutely does. And therefore it’s right that it should shoulder some of the blame. It certainly shouldn’t shoulder all of the blame, because when I go down the roll-call of people who got things wrong, ‘economists’ are but one name on that list. In part, this is because thinking within the wider academic economic community did start to shape and influence public policy in important ways. Strictly speaking, this is a good thing, that policy-making learns from what is being said in the wider academic world. But in this particular case it meant that a rather restricted and blinkered view of the dynamics of social and economic systems got carried across into how public policy was thought about and executed. Again, I have an evolutionary story as to why economics ended up in this place. I don’t think it’s because people were taking pay-checks from consultants or countries to cook the answers. I don’t think for a minute that was the core of it. It was driven by the quest for certainty, and mathematisation of economics was a means of achieving that certainty. It was the desire to have the laws of economics as well-defined as seemingly were the laws of physics or other natural sciences, as a basis for policy experimentation. They were all good reasons for wanting to make the discipline rigorous and robust. I think one of the great errors we as economists made in pursuing that was that we started believing the assumptions of economics, and saying things that made no intellectual sense. The hope was that, by basing models on mathematics and particular assumptions about ‘optimising’ behaviour, they would become immune to changes in policy. But we forgot the key part, which is that the models are only true if the assumptions that underpin those models are also true. And we started to believe that what were assumptions were actually a description of reality, and therefore that the models were a description of reality, and therefore were dependable for policy analysis. With hindsight, that was a pretty significant error. One of the reasons I wanted to retrace the steps and understand the history is to get a better fix on this subtle interaction between the desire for economic formality (and the mathematics to underpin that formality) and what you might call the sociology of financiers. There’s a subtle crossover point, where you start believing the formality to be the truth. First of all you formalise things and then you socialise them, and start to believe it. The last paper I wrote looked at how the same process occurred with the statistical notion of a ‘normal’ distribution – the bell curve - 100 years earlier. A concept gets formalised and then gets socialised and then believed as an almost theological doctrine. WD: This problem of narrowing of expertise also affects governance and the elites running institutions, be they banks or regulators. One of the complaints that has been made about Anglo-American corporate governance over the past 30 years is that, where an engineering firm might have had engineers on its board in the 1950s, nowadays you have people trained in generic financial economics. It seems to me that this is part of the same problem – what type of knowledge, what type of expertise are you going to have in governance institutions, in banks but also in policy-making institutions such as the Treasury? If there are people – be they experts, consumers, academics - who have a different type of knowledge that is not necessarily commensurable with the language of statistical risk models, can their voices be heard? Is there any way we can incorporate more pluralism within our governance models? AH: Any institution – it could be a bank, it could be a building society, it could be a non-financial corporate, it could be the Bank of England, any decision-making body – is likely to benefit from a greater plurality of thinking around the table. It could be from different experience or from a different intellectual toolkit. I think the experimental evidence on that is very strong. But this plurality does come at a cost. And the cost is that it may on average lead to slightly slower, slightly ‘inefficient’ decision-making. Because it then has to be slightly more consensual and the scope for decisive action is slightly diminished. But that is more than offset by the benefits of not making catastrophic errors. What you lose on the swings you more than make up for on the roundabouts, when you avoid catastrophic errors, which are much more likely in non-plural governance settings. So I think the case in favour of plurality is very strong. My second point, which is slightly more specific to finance, is that we have seen a particular form of singular, non-plural decision-making emerge. In UK Company law, the primary responsibility of management is to shareholders. And we’ve also seen managers of those firms being remunerated in a form which aligns their interests with those of the shareholders through payment in equity or equity-like instruments. Within banking and finance, this has led to a corporate governance structure in which those owning maybe 5% of the balance sheet – i.e. the shareholders – have the primary, some would say the exclusive, power in controlling the fortunes of the firm. There is no say from the debt-holders or depositors or workers or any sense of the wider public good which we know to be important in banking and finance. We also know that those firms are working on time horizons which in some cases are really quite short. So to think that this will necessarily lead to the best outcome, even for the longer-term value of the firm, is questionable given the governance model. The piece I did last year was to try and understand how it was that banks ended up with the corporate governance structure I’ve described. What was it? At each stage it was a sensible reason. But it led to a corporate governance structure that looks pretty peculiar, given where we started off 150 years ago. So what I mentioned about structures and incentives – an important thing about that is who runs the firm and how they run the firm. I think corporate governance in the way I’ve defined it is super important - more important than regulation in getting us into a better place. WD: But presumably for equally good evolutionary reasons it is incredibly difficult to change, at least in the short term. Will Hutton was arguing for fundamental corporate governance reform in the 1990s and was basically ignored. We’ve now had one almighty great shock to the system over the last five years, but not a great deal seems to have changed. What would it take to get a real change? If we return to the original meaning of the word ‘crisis’ as a defining judgement or turning point – what would it take to get that? If five years isn’t enough, what might be a plausible time horizon within which that change in governance might be expected to be seen? And what might be a trigger for it? AH: This is a story about complex systems, so knowing what the trigger would be is very difficult to pin down. Often it’s the smallest thing. It’s that small flap of the butterfly’s wings which leads the whole sociology of this to shift. Who knows – we might have been seeing it over the past month with the Libor fixing scandal. Certainly if you read what’s written in the press about the significance of the Libor issue, it’s partly about the significance of Libor, but it’s partly about the steady accumulation of issues where things have gone quite wrong and mounting discontent. A month ago, people were not digging up the body of Glass Steagall and saying this is what we need. If you read the newspapers today, you find a rather different rhetoric out there about what might be needed to solve the Libor problem, but actually more than that, the Libor problem and the PPI mis-selling problem and the bonus problem and so on. Who knows whether this time it’ll be the event that triggers bigger change? A lot has already happened. Perhaps more than we give ourselves credit for, about changing the narrative around banking and finance. If you’d asked me even four years ago whether I thought people would be openly discussing ring-fencing and restrictions and breaking up banks and splitting them in two as a core part of the regulatory discourse in the UK and internationally, I’d have said that sounds a little far-fetched. But now it is very much part and parcel of the discourse that’s going on about what’s needed to solve this problem. I think that’s a relatively large leap forward in a relatively small space of time. Pre-crisis, the stories we told about the biggest banks in the world, and the way in particular way we sought to regulate them, was not just hands off, but it took as an article of faith that they would be less risky if they were diversified in their activities, and were therefore better off with a lower regulatory hurdle. We’ve had a complete reversal on that. We’re now looking to raise the regulatory hurdle on them, both absolutely and also relative to some of the smaller firms. You could argue about whether that hurdle has been heightened sufficiently, and the answer might be no. But in terms of how we’re thinking about that problem, or conceiving of it, that has changed pretty dramatically, in what - in regulatory terms – is a pretty short space of time, three or four years. The crisis is still with us - and if Mervyn King is right, and we’re still not at the halfway mark, it will remain with us, and there will be times (as with the Libor issue) when we get these reminders that we’re in a banking crisis. And every time we get reminded I think there will be further questions about whether we’ve gone far enough in rethinking finance or rethinking banking. Where will it end? I don’t know the answer to that. There’s no doubt that it’s already moved a big distance from where it was, much further than we might think. WD: The sociologist Max Weber drew a distinction between power and authority, in that authority is power that people willingly obey, it has a moral dimension. And when the history of this crisis is written, one thing that I think will be focused on is how central banks have gone from being places with a limited, quite technical sphere of responsibility, to being key political public players, without having been designed for that purpose. They didn’t previously get a huge amount of public or political discussion outside of the pages of the FT, but are now playing an absolutely critical role in how our economies survive over the next five or ten years. Is this something you consciously reflect on? AH: The Bank is being endowed with extra powers. They’re being invested in it via parliament, which is absolutely right and proper, and the only way it can happen. And that will be as big, as dramatic a shift, as any we have seen in the past 318 years, which is our life so far. It’s very clear to me that we need to ensure that our authority – to take your words – steps up to meet the needs of those extra powers. What will it take to achieve that? For most of those 318 years, I think we could have taken our authority as read. Not for all of it, but for most of those years, the Bank was a place which was respected technically. Not necessarily understood, but respected. I think we’re bound to enter a period in which to have authority, to command respect, we’re going in addition to need to be understood. Maybe for the majority of that 318-year history it was quasi-automatic, that when the Bank spoke others listened. When the Bank asked, others did. And I think that these days, the world is much more likely to question, to ask why and to legitimately expect a good answer in response. So I think looking ahead, central banks – this isn’t remotely just about the Bank of England – are going to need to listen as often as they speak, to explain themselves as clearly as they’re able (warts and all), to say when they’ve got it wrong, to admit to mistakes when they’ve been made. Mistakes will be made – that is in the nature of public policy. The important thing is that they are made, when they are made, for the right reasons. That they’re honest mistakes, they’re technical mistakes, that anyone could have made given how uncertain the world is. That’s what protects you. That’s what gives you authority. It sounds perverse that admitting to mistakes can be credibility enhancing, can be authority enhancing. But my very strong view is that that is the only thing which can protect you, can enhance understanding and therefore authority. This is a world in which central banking is more conversational, it’s certainly more humble about what’s possible. It explains its uncertainties, and that sometimes it might not know, but that not knowing is not a reason for not talking. It will be more responsive to external commentary, including external criticism, it will explain when it thinks that criticism is wrong, and accept when it thinks that criticism is right. That won’t protect us from the wider world, and why should it? But it will, longer term, give us that authority that you spoke about. It’s the only thing that I think can give us that longer term. That’s quite a shift from where public policy has come from. Certainly a massive shift from where central banking has come from. I sense there’s no escaping it. This piece is part of OurKingdom's Uneconomics debate, which challenges conventional economics and publishes work by anthropologists, sociologists, historians and philosophers, as well as unorthodox economists.